Hawaiian Falls Garland was the first of the seven Texas water parks built and operated by Hawaiian Falls, and the water park continues to grow year after year. Whether floating down the Kona Kooler Lazy River or exploring the Keiki Kove fortress with its rope ladders, geysers, and thousand-gallon dump bucket, there's something for every family member to enjoy at our 12-acre Garland Water Park. 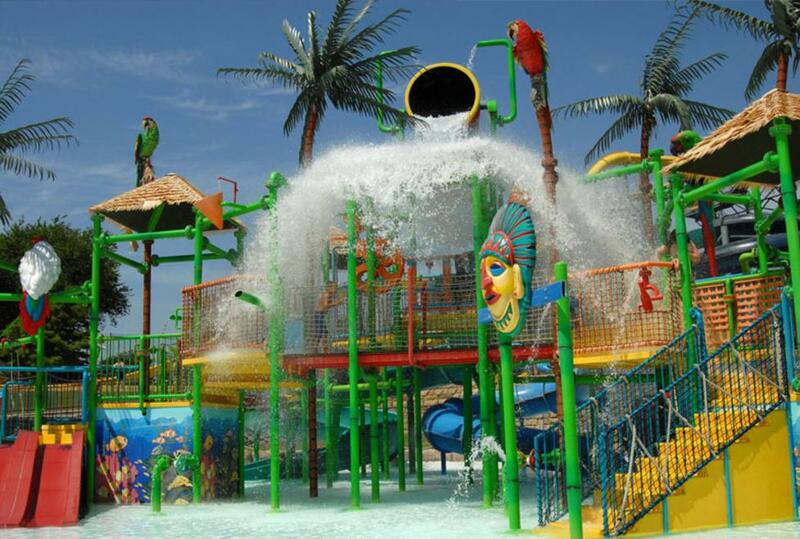 Round up the kids and head to the one of the best waterparks in Texas for a great day of family fun. Like all of our fun-filled water parks in Texas, Hawaiian Falls Garland offers a wide array of thrill rides, slides and aquatic adventures to ensure that everyone in your family has a splashing-good time. From the safe and shallow Waikiki Beach, perfect for the littlest Kahunas in your family, to the awe-inspiring 60-foot-high Waikiki Wipeout body slide, our Hawaiian Falls Garland Water Park is overflowing with fun. Thrill-seekers won't want to miss the Pipeline where enclosed and half-enclosed slides propel two to three riders down twisting and turning slides.